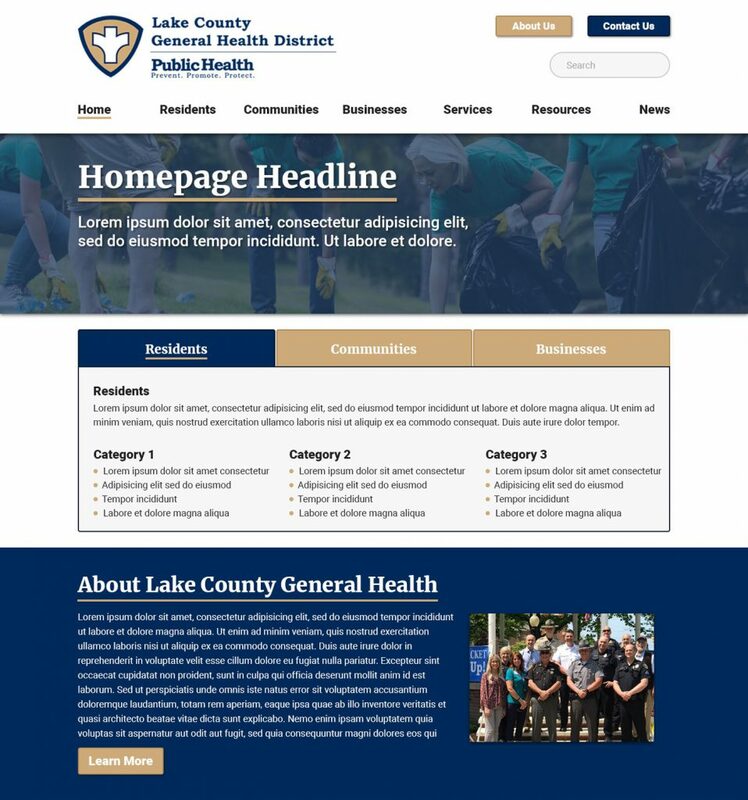 The Lake County General Health District was the 14th health department in Ohio to become accredited under the Public Health Accreditation Board (PHAB) standards. They engaged my client, Sixth City Marketing, in 2018 to design and develop a custom website for the organization. When designing the site, my goals were to follow the organization’s pre-existing branding guidelines while creating a clean and logical display for the site’s information.